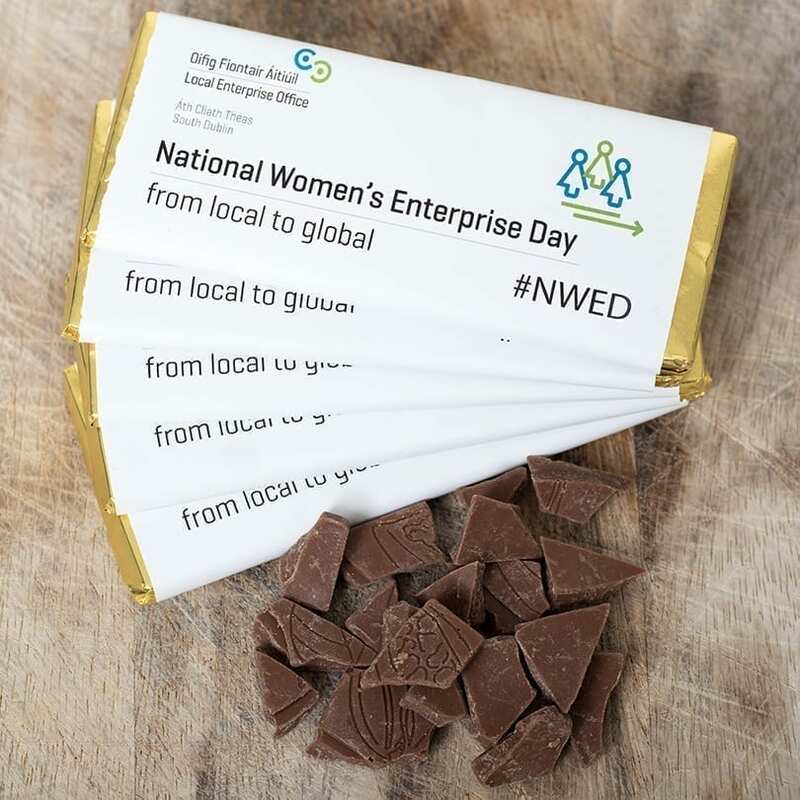 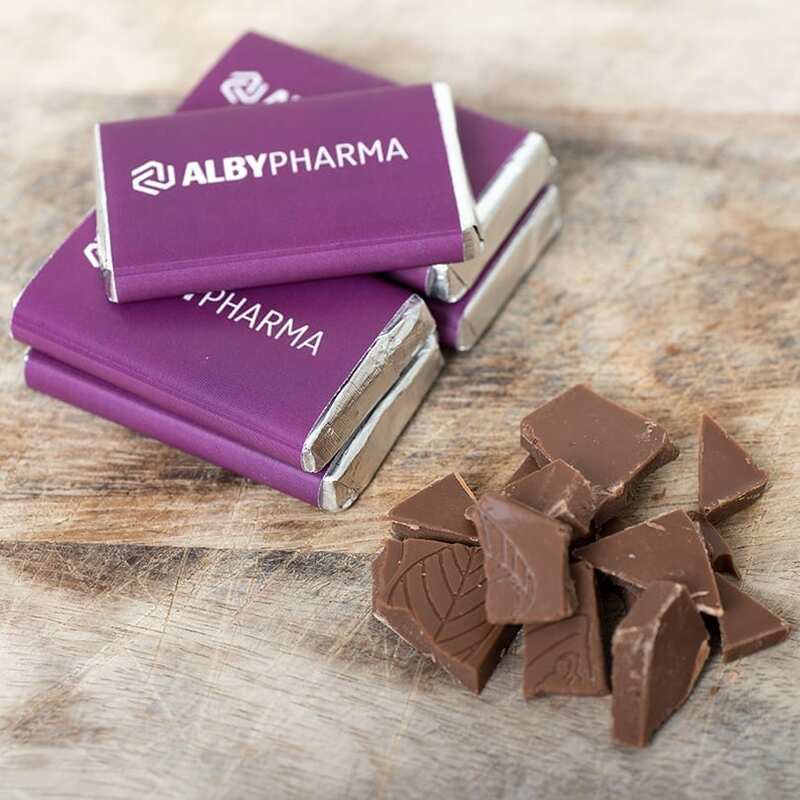 Our chocolate is luxury milk chocolate and comes in a variety of sizes to suit all budgets, and is suitable for those with gluten intolerance. 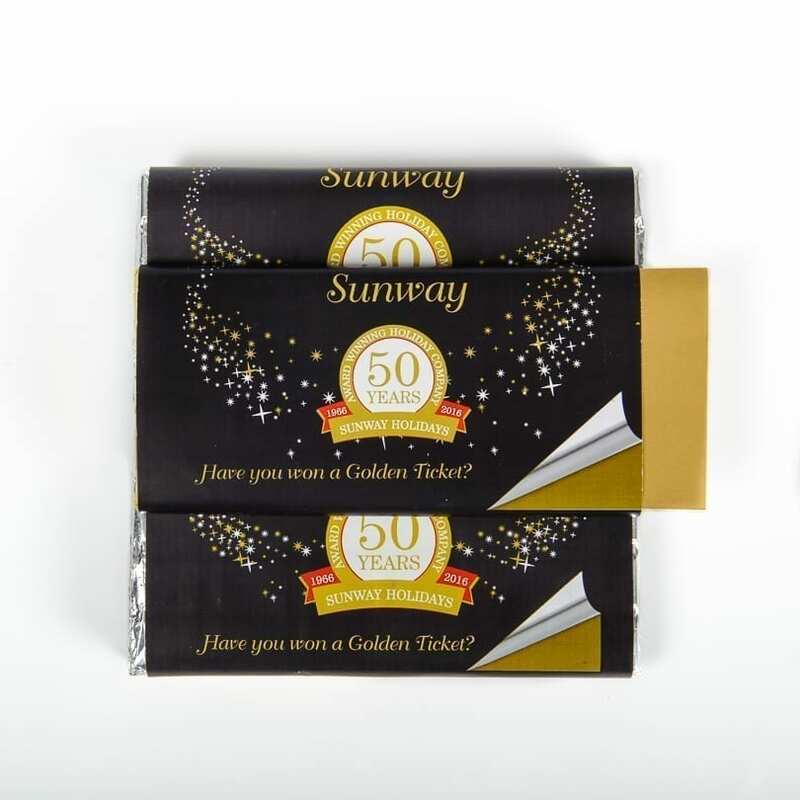 We are happy to work with you to customise the wrappers either using your artwork or working with us to help you design whatever you need. 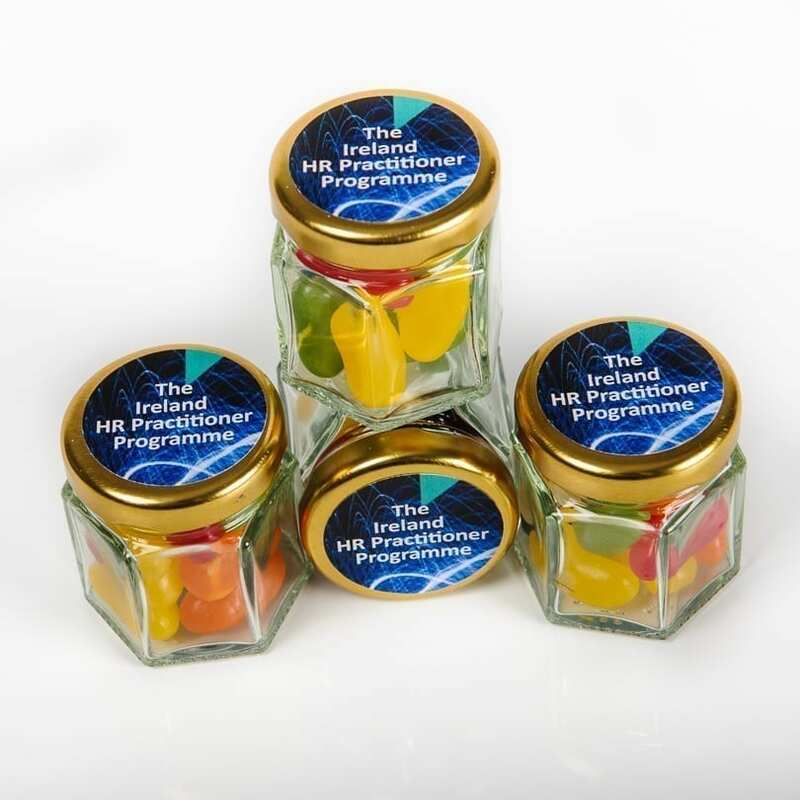 There is a very low Minimum Order Quantity and we can work to your deadlines turning around projects in 3-5 working days. 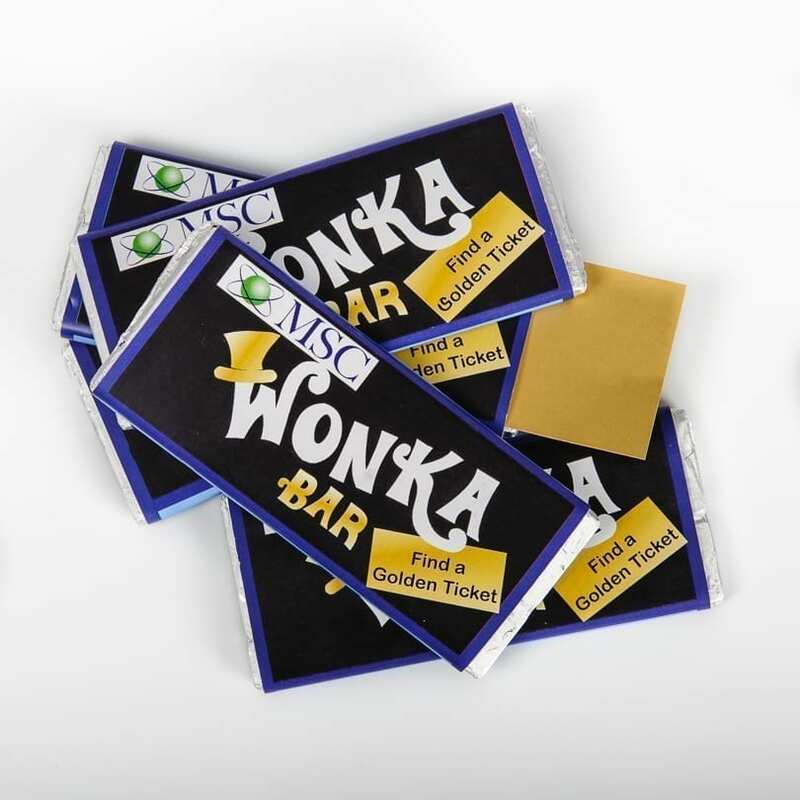 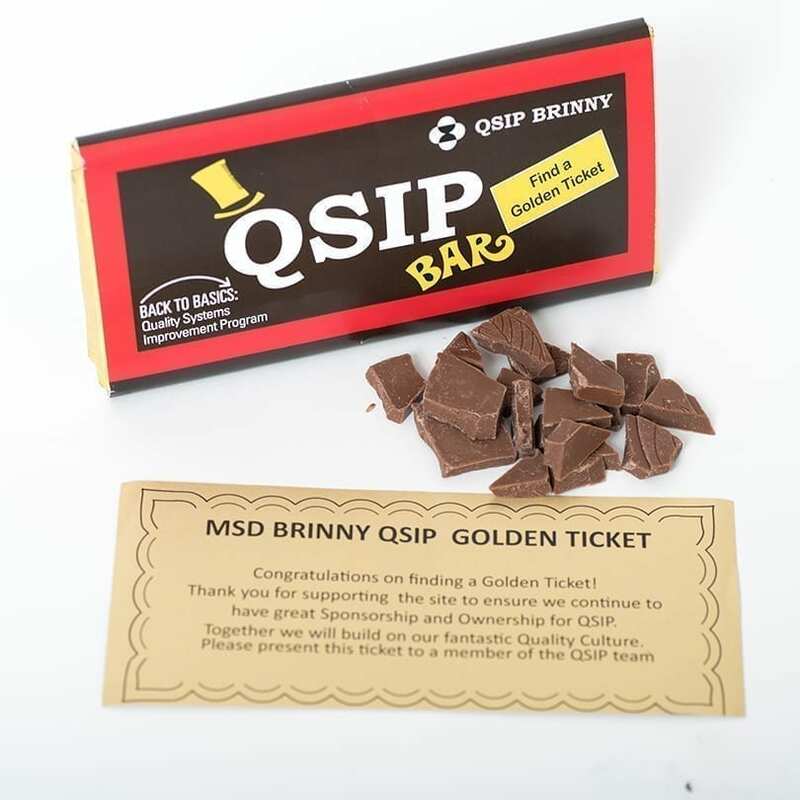 Wonka Bars are a memorable way to invite someone to an event, and/or to present prizes at events – brand the Wonka bar in your corporate colours and have the prizes on the golden tickets. 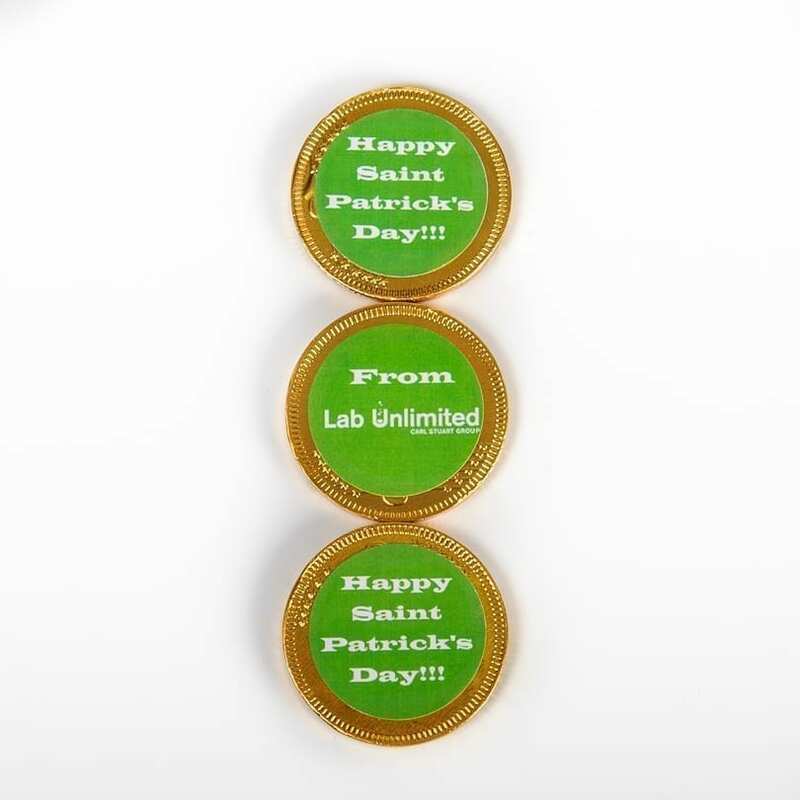 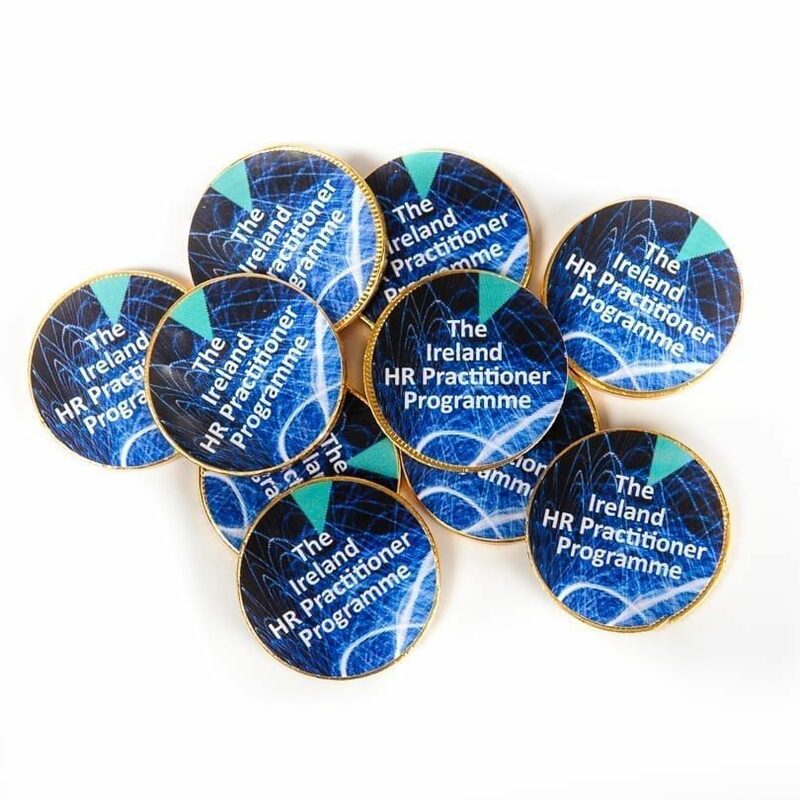 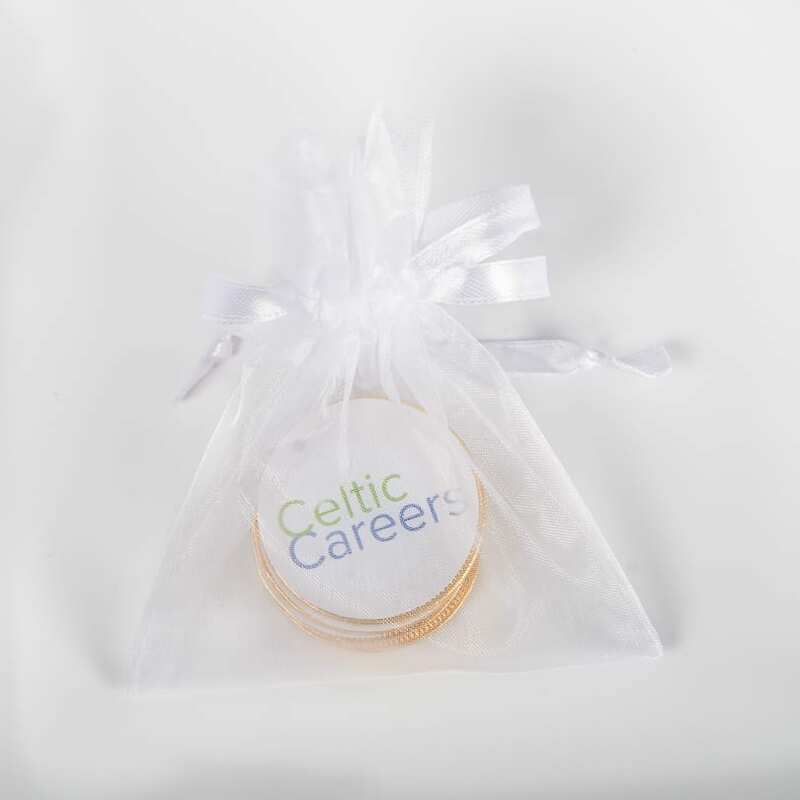 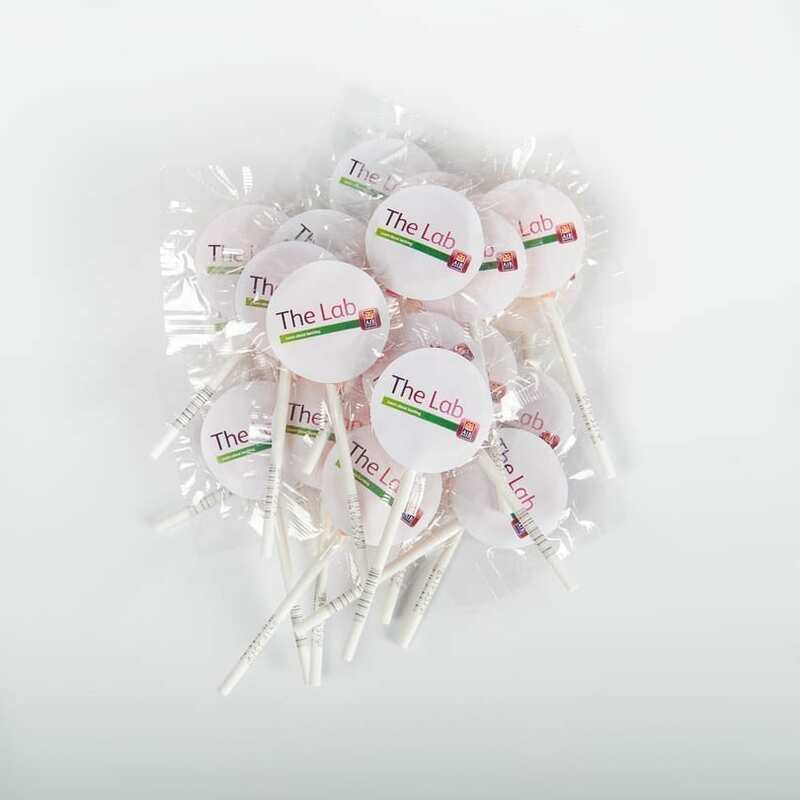 Branded Chocolate coins and branded lollipops, personalised with company logo and text. 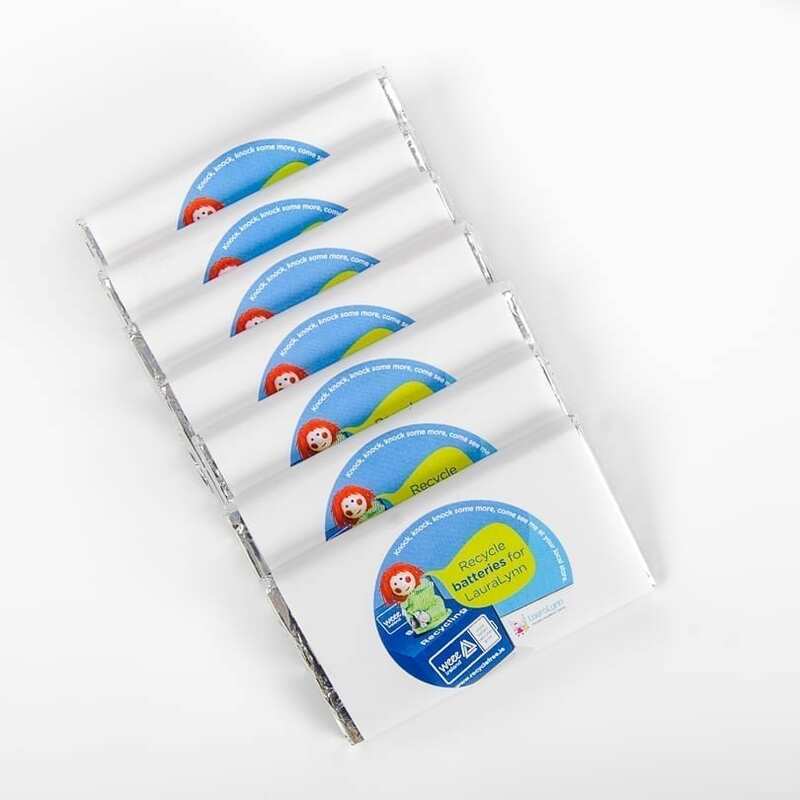 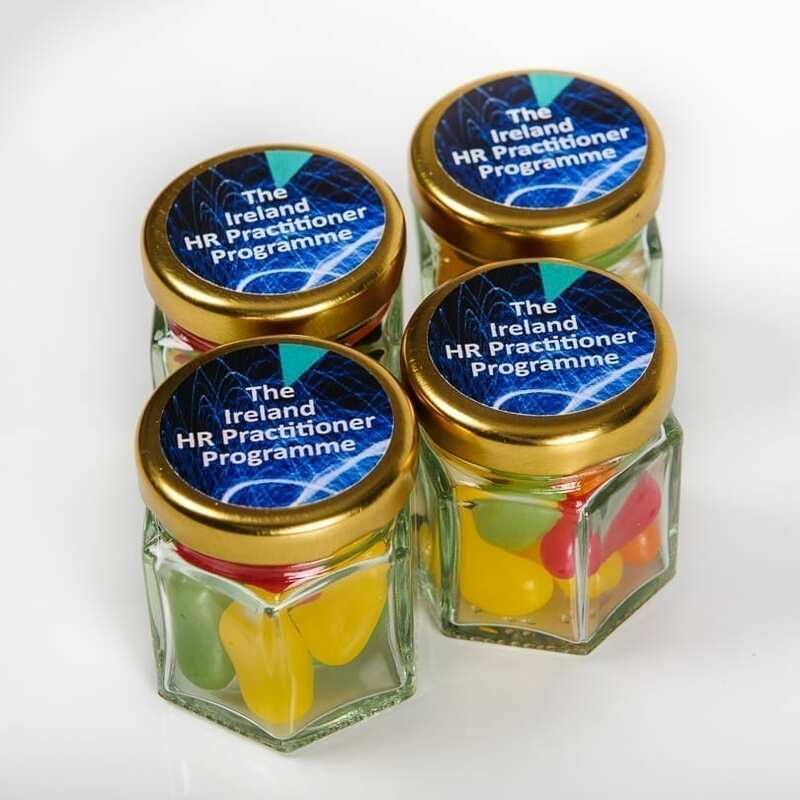 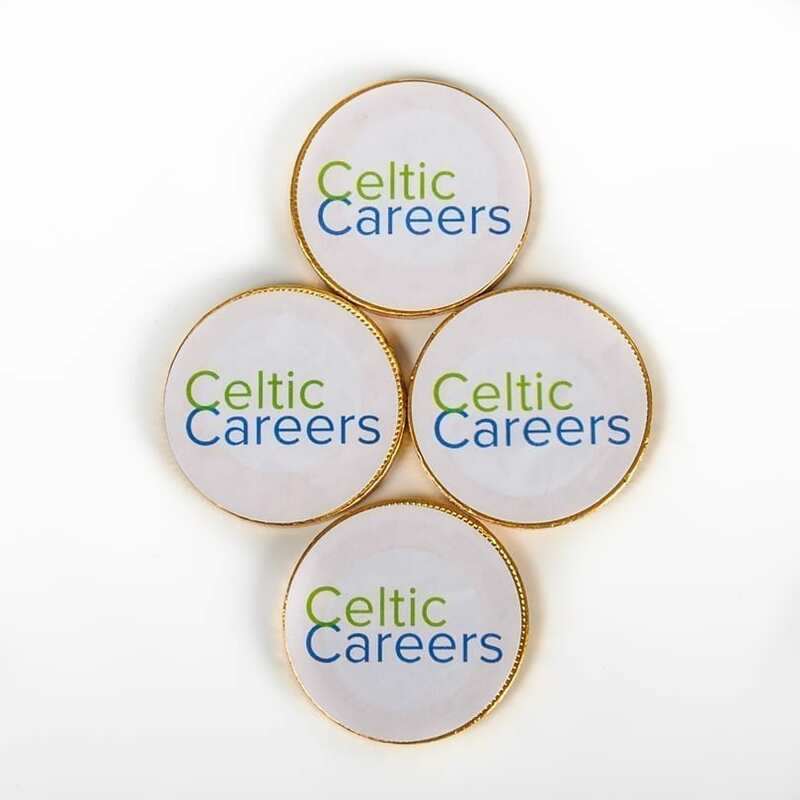 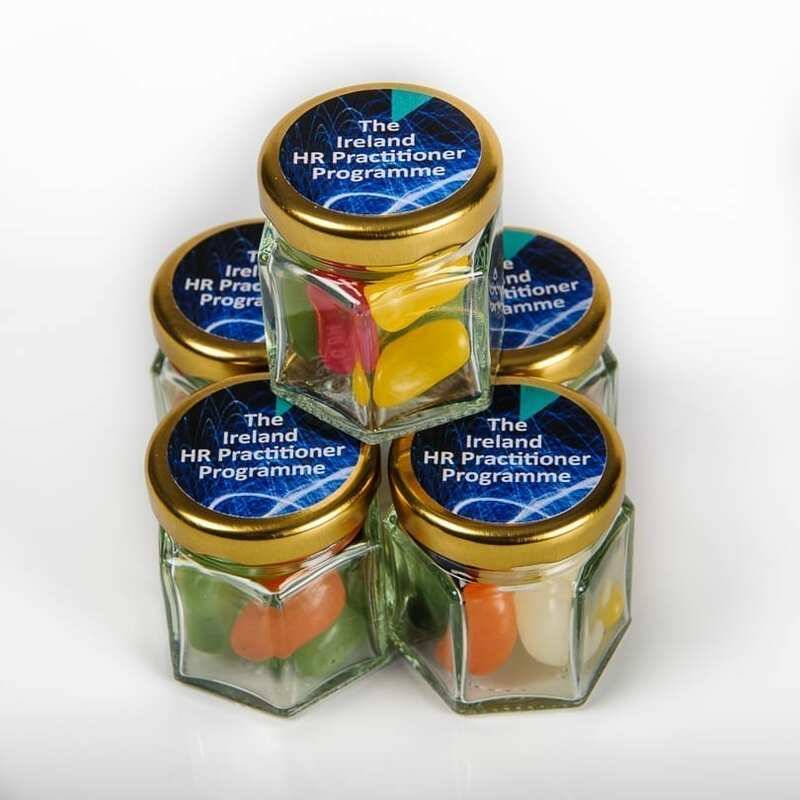 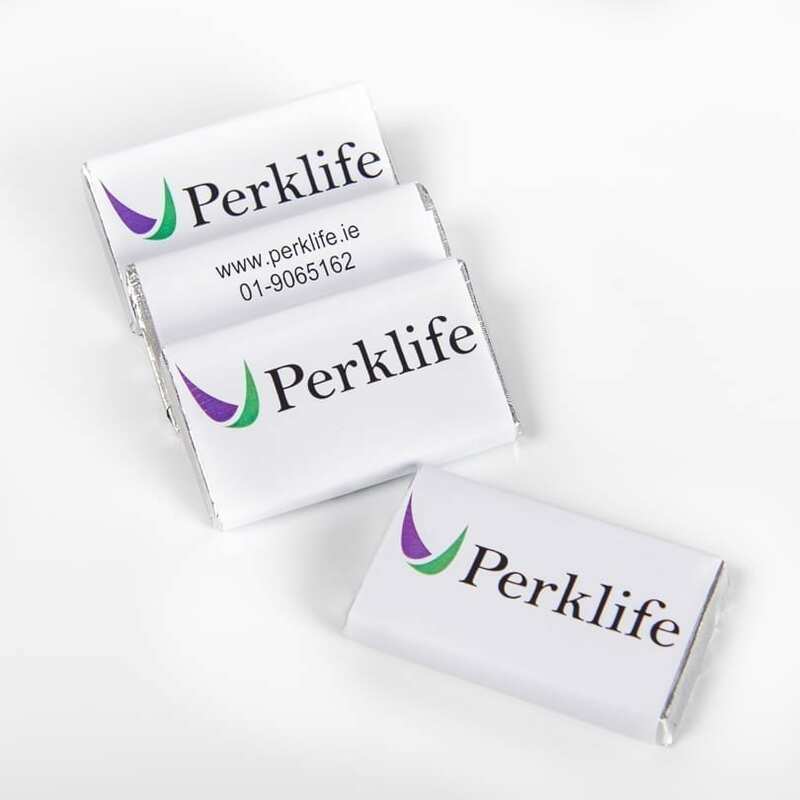 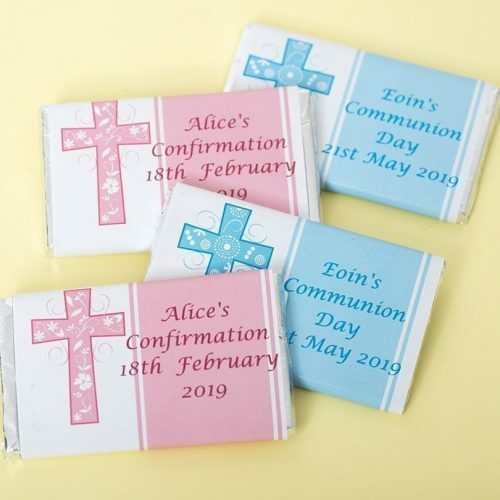 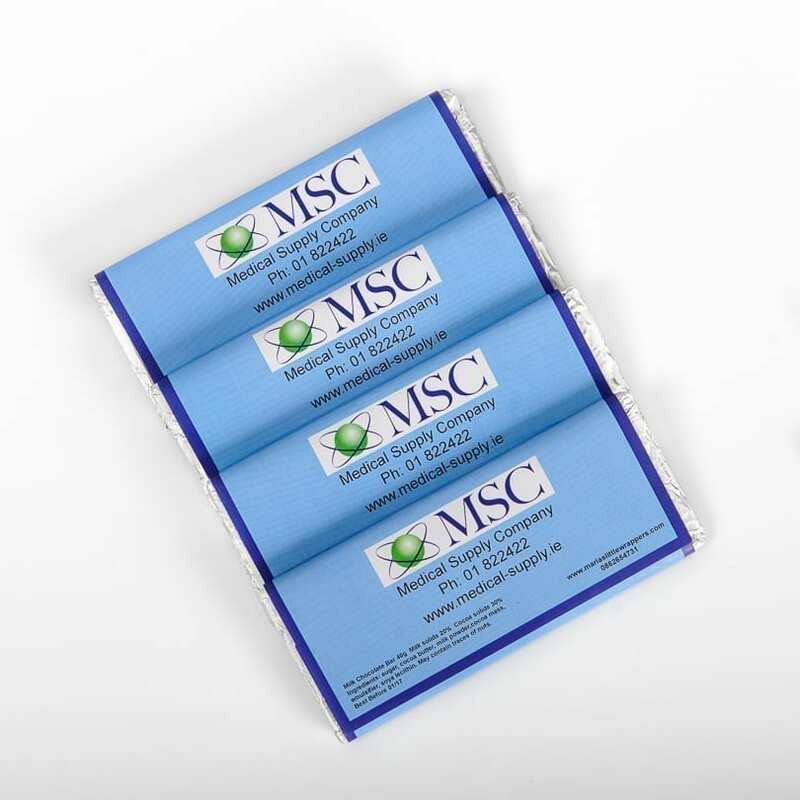 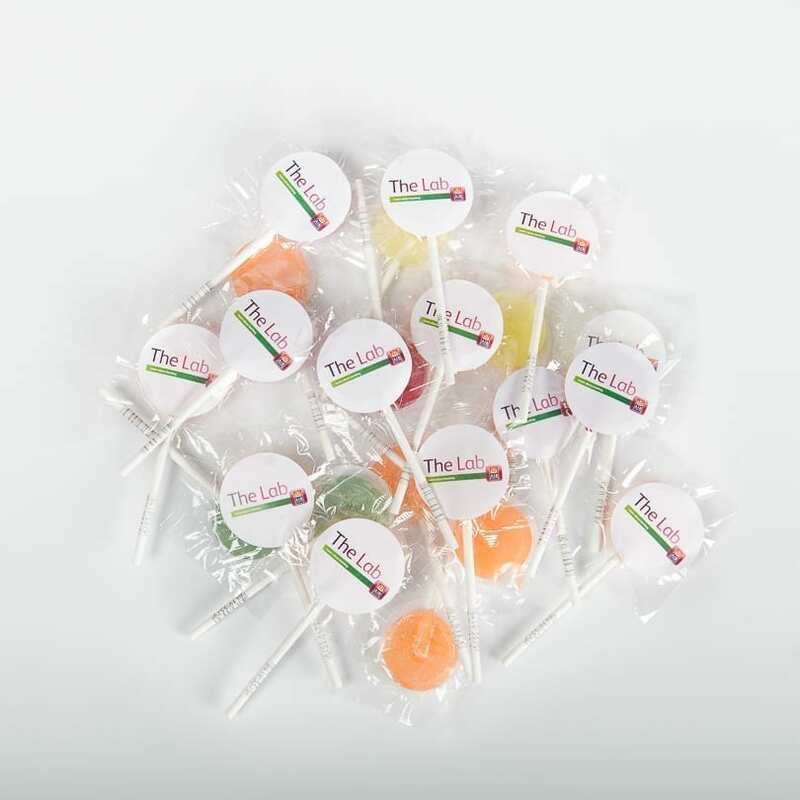 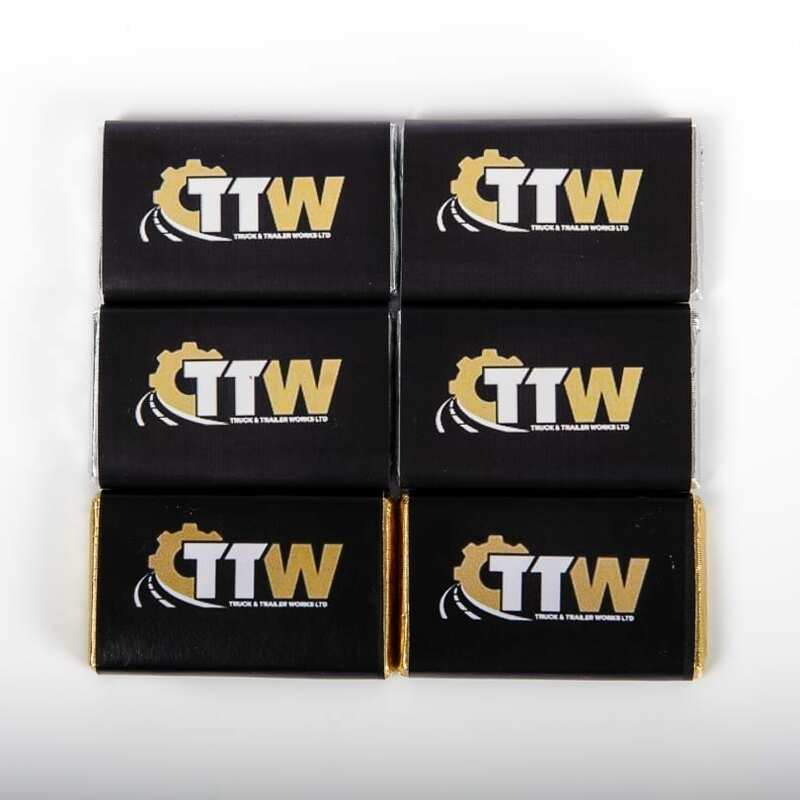 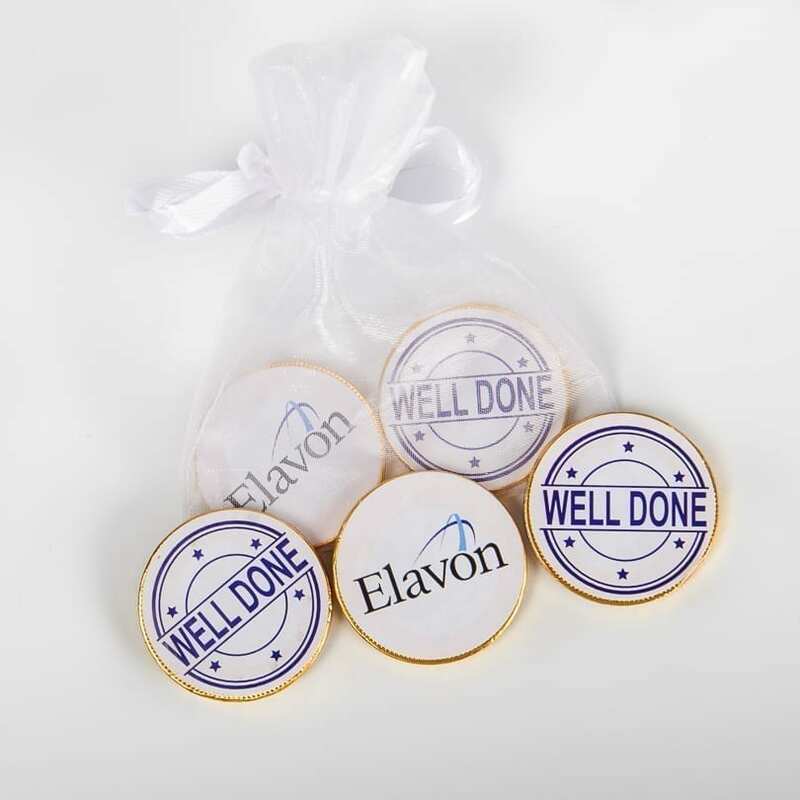 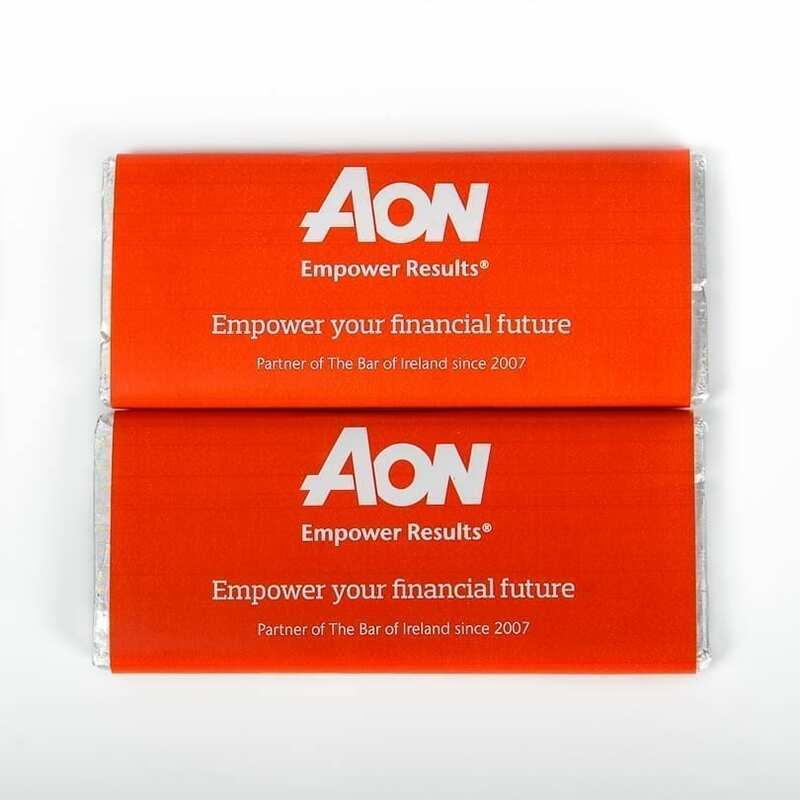 Branded sweets for corporate events, goody bags, staff appreciations days, staff incentives and fundraising events, giveaways and promotional events. 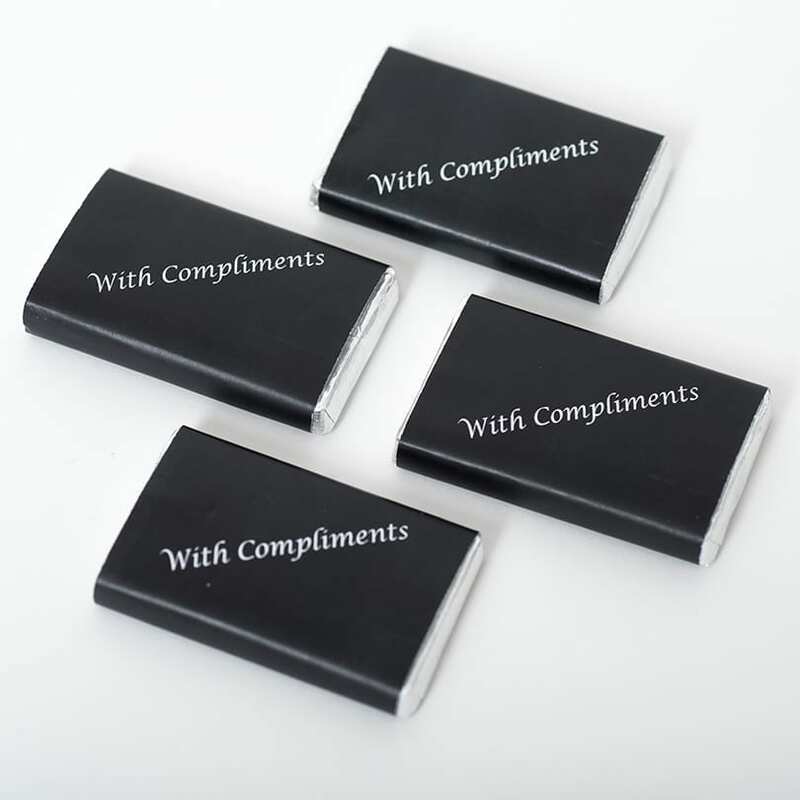 Send us your details and we will be happy to provide a quote for your upcoming project.